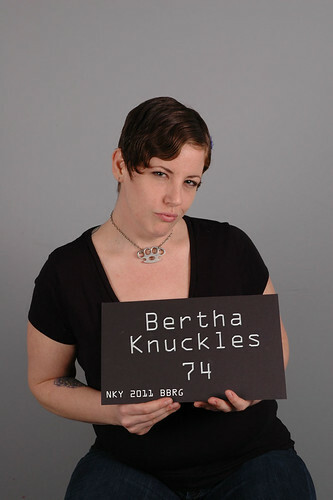 Name Meaning: I’ve always felt like a Bertha and spent most of my life bemoaning my amazonian qualities. Now, I embrace those qualities, throw on some glitter and showcase them in a positive light. That, and I like to punch people. Likes: Bear Hats, ANTM, Carnies, Tom Jones, Being in Front of Cameras, Getting Out of Penalty Boxes, and Yer Mom. Dislikes: the man, poverty, and people who do not have the ability to laugh at themselves.